Mario's Catalina Restaurant is a fine dining Cuban Spanish restaurant based in Fort Lauderdale, Florida. 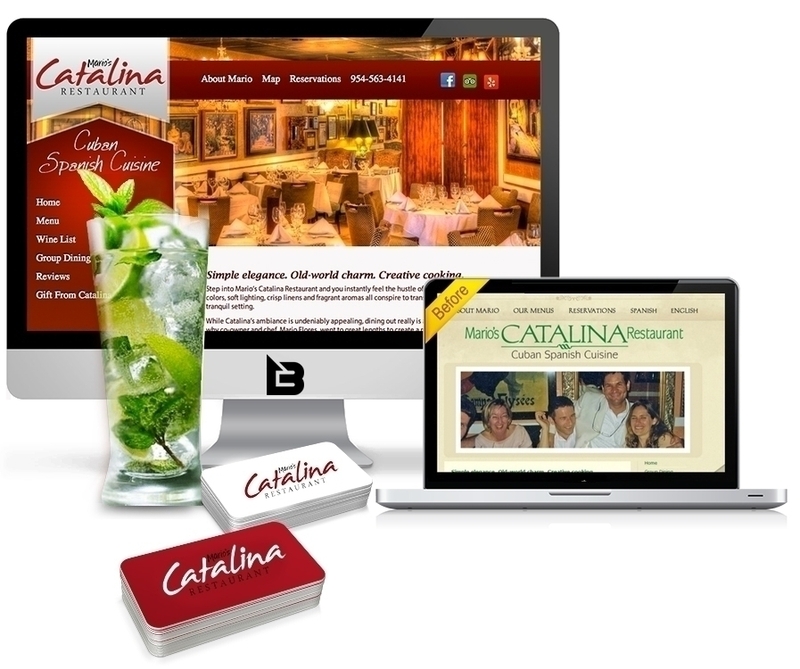 We were brought in to rebrand their restaurant, bring their website up to date and reinvigorate their marketing efforts. The previous website was antiquated and needed a colorful refresh. In addition we added a way for customers to make reservations online and drove traffic via search engine marketing and social media. Our marketing efforts helped contribute to increasing foot traffic and sales by 300% YOY.